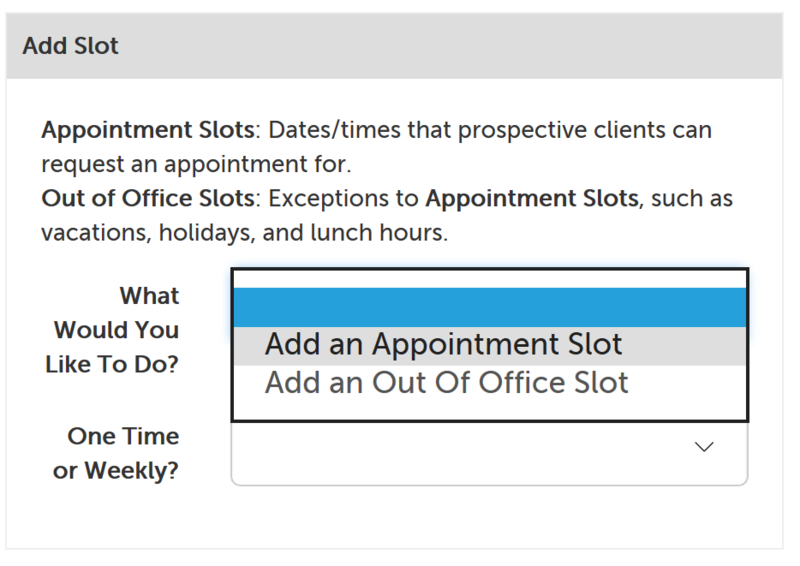 This support article will go over the process for adding available appointment slots to your calendar. Create a one time appointment slot if you want to add an appointment slot for a single date. 2. 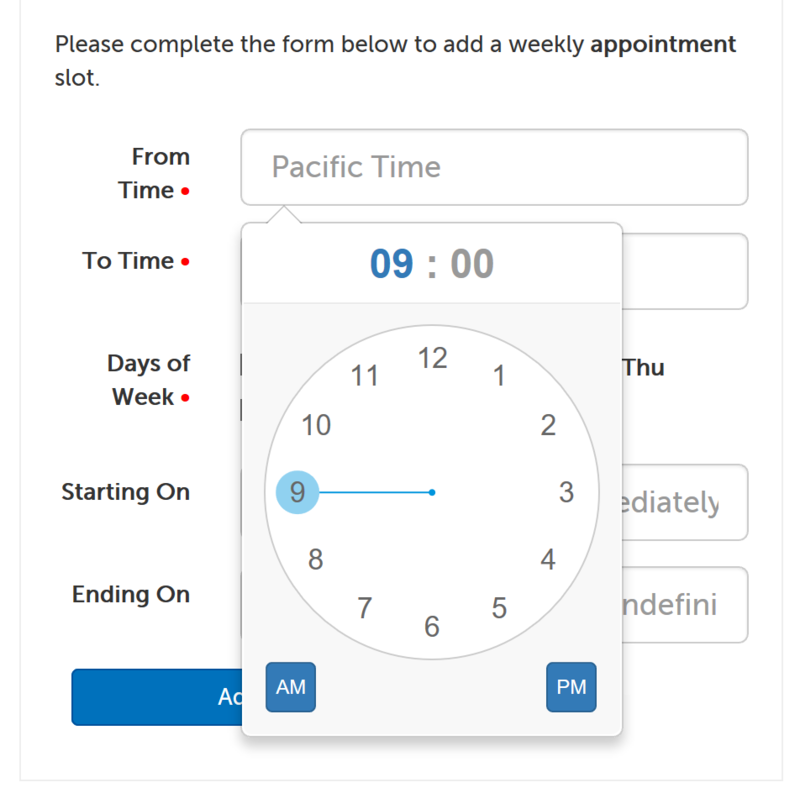 Click on the dropdown next to "What Would You Like To Do?" 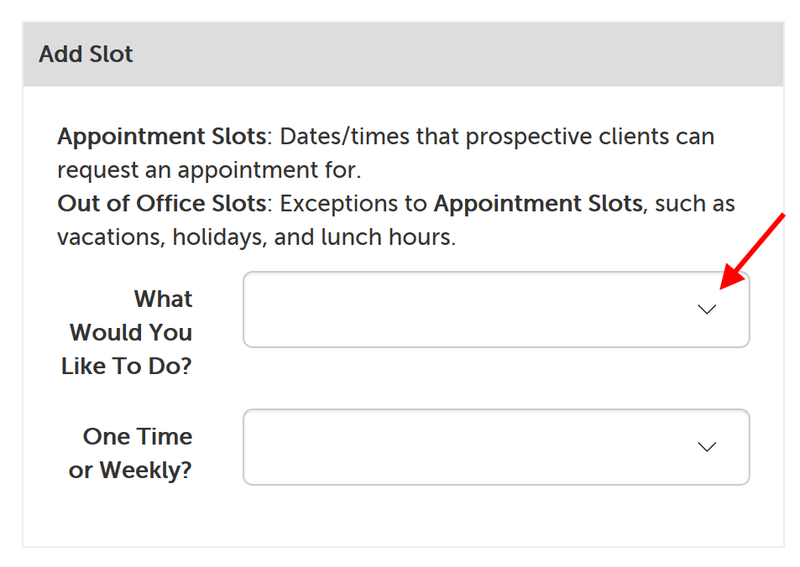 and select "Add an Appointment Slot". 6. 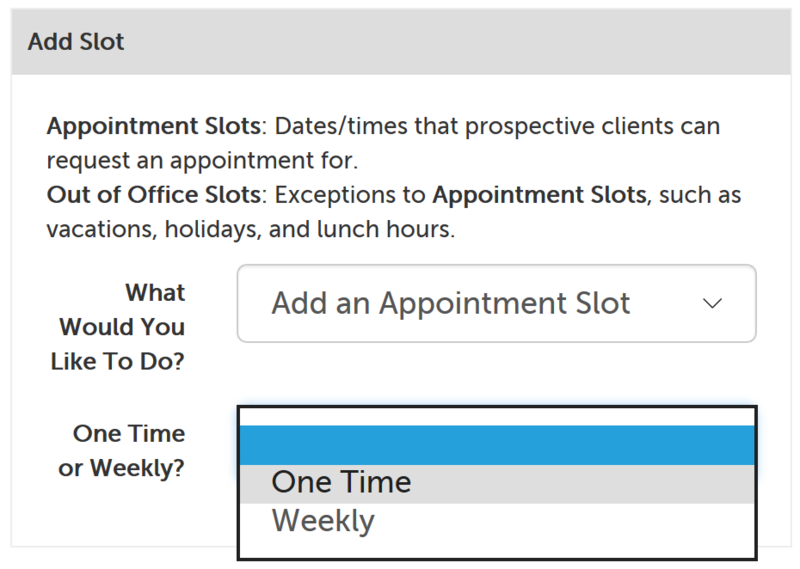 Click on the "Date" field to make the datepicker appear, and select the date the appointment slot should be for. 7. 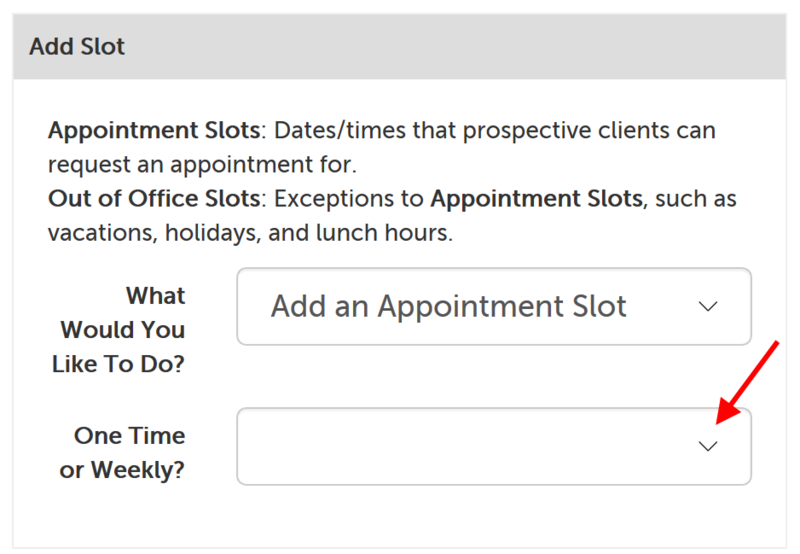 Click "Add" to add the appointment slot to your calendar. 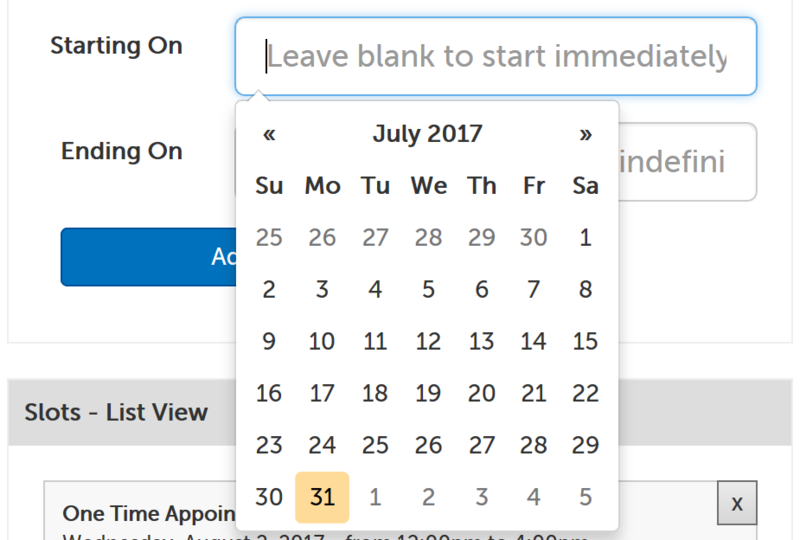 It will appear on the calendar in green and be viewable to users. Create a weekly appointment slot if you want to add a recurring appointment slot for a specific day of the week (or multiple days of the week). 4. 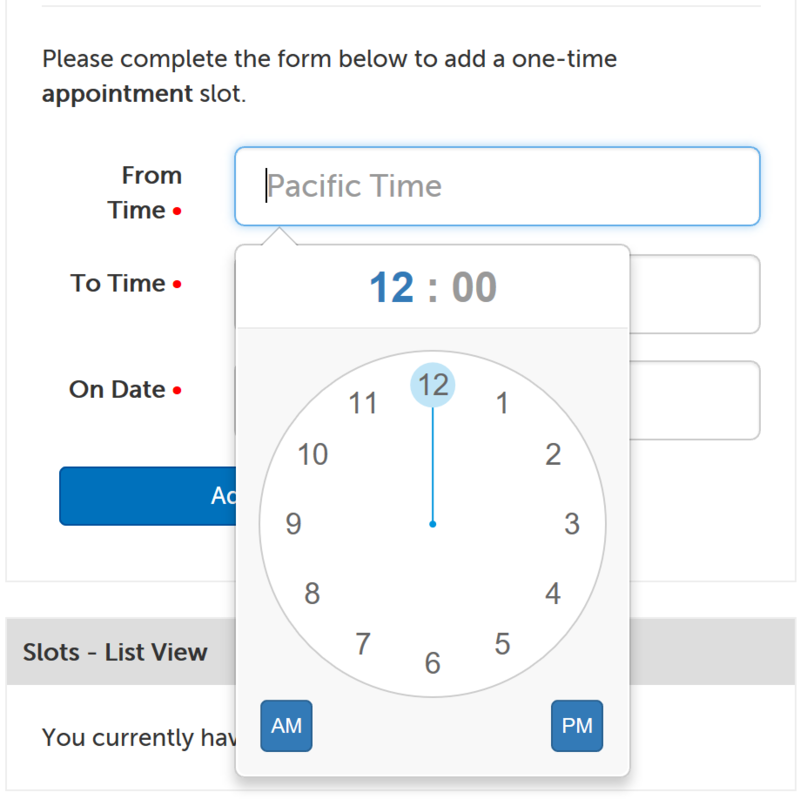 Click on the "From Time" field to have the timepick appear. 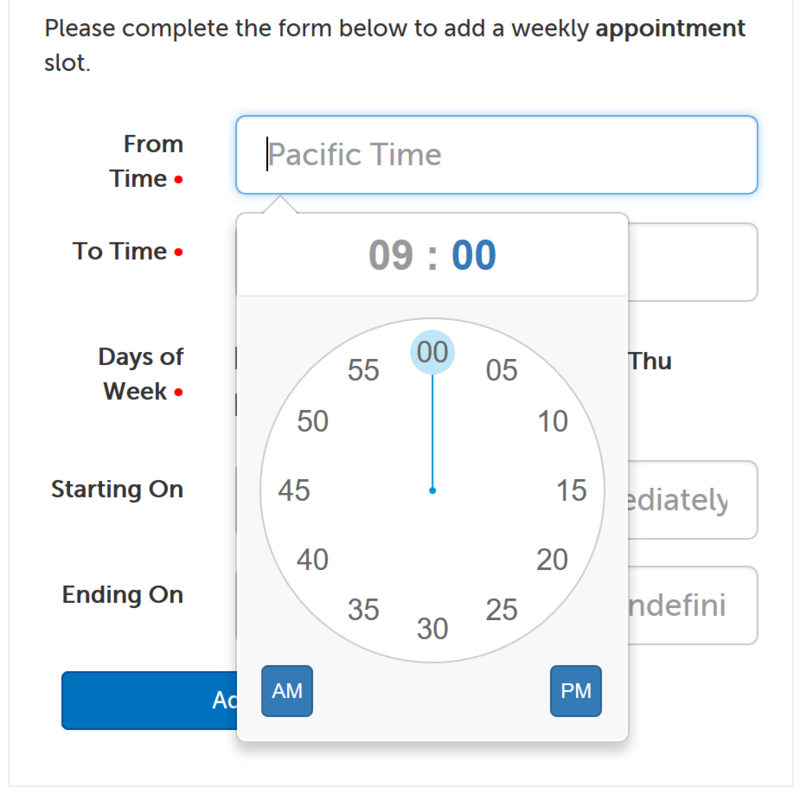 Select a starting hour and then minute value, in your account's time zone. 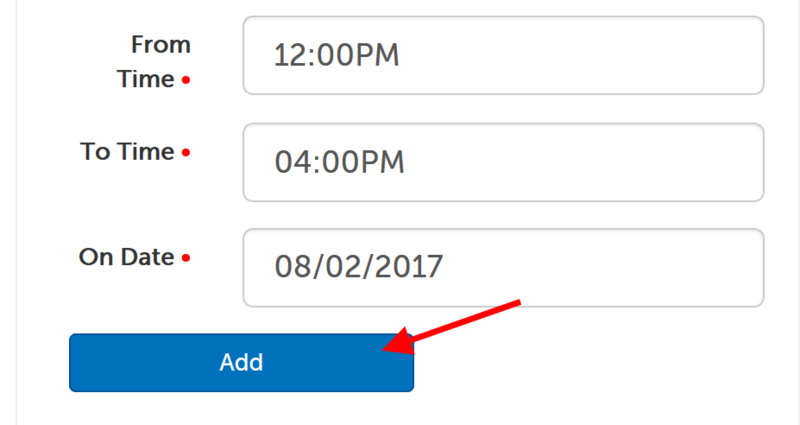 Click "AM" or "PM" to indicate which is applicable. 9. 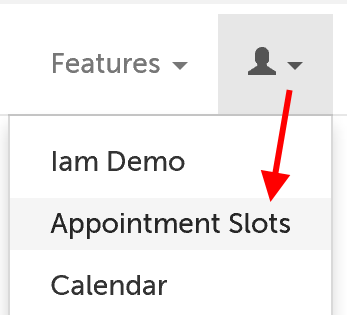 Click "Add" to add the appointment slots to your calendar. 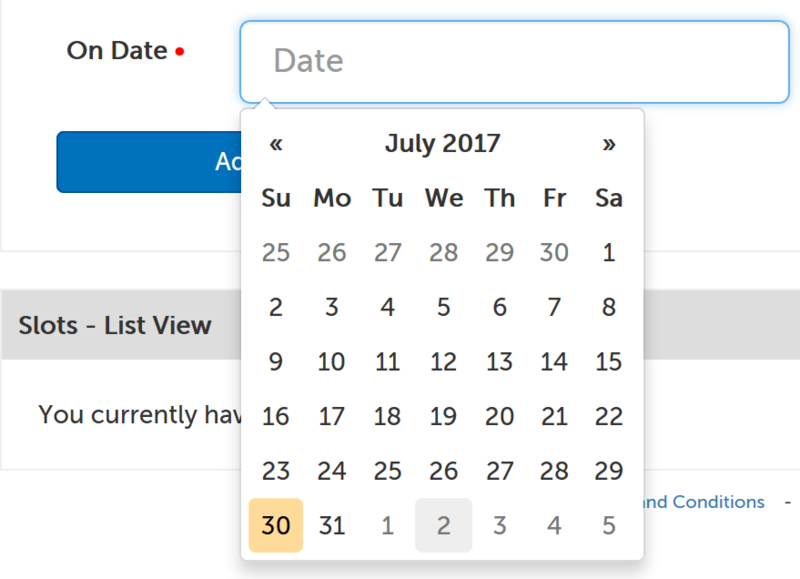 They will appear on the calendar in green and be viewable to users.